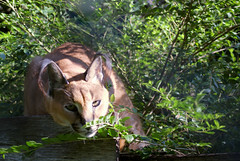 Bandit was born at Carolina Tiger Rescue as part of our former breeding program. Bandit is often the first cat on tour that guests see; he enjoys sneaking up beside his den box through the tall grass, often seeing the tour guests long before they see him. Bandit, like his wild cousins, is a great jumper, so the high platforms in his enclosure allow him to jump up and survey his surroundings and practice his caracal skills. 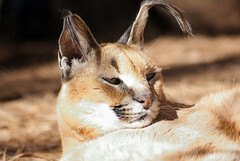 Bandit is known for his wild ear tufts that are so long, they flop over instead of standing straight up. 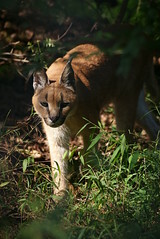 Bandit was born at Carolina Tiger Rescue as part of the former breeding program. 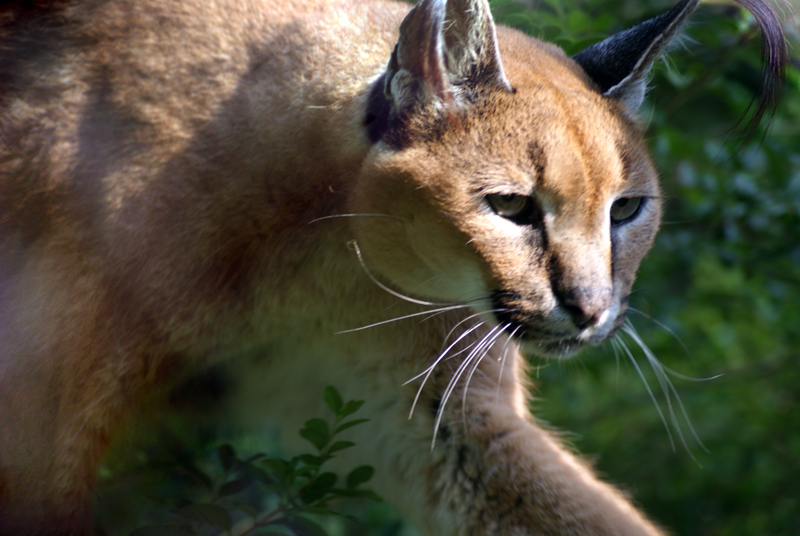 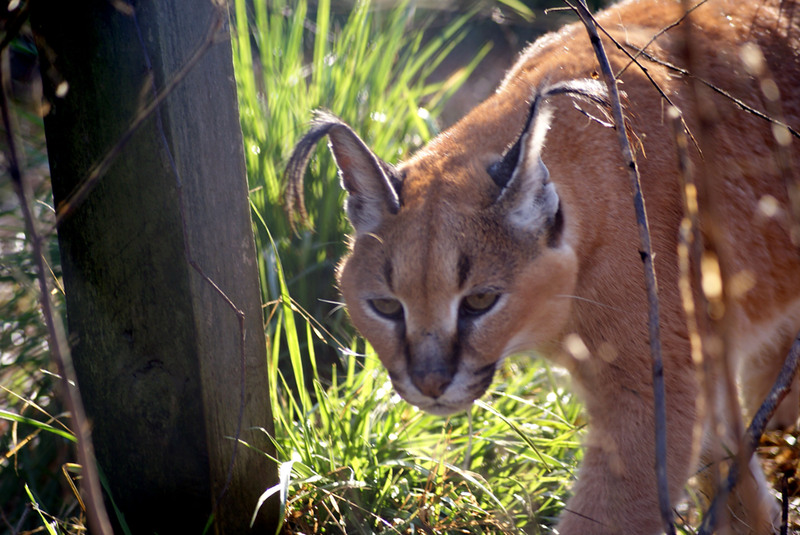 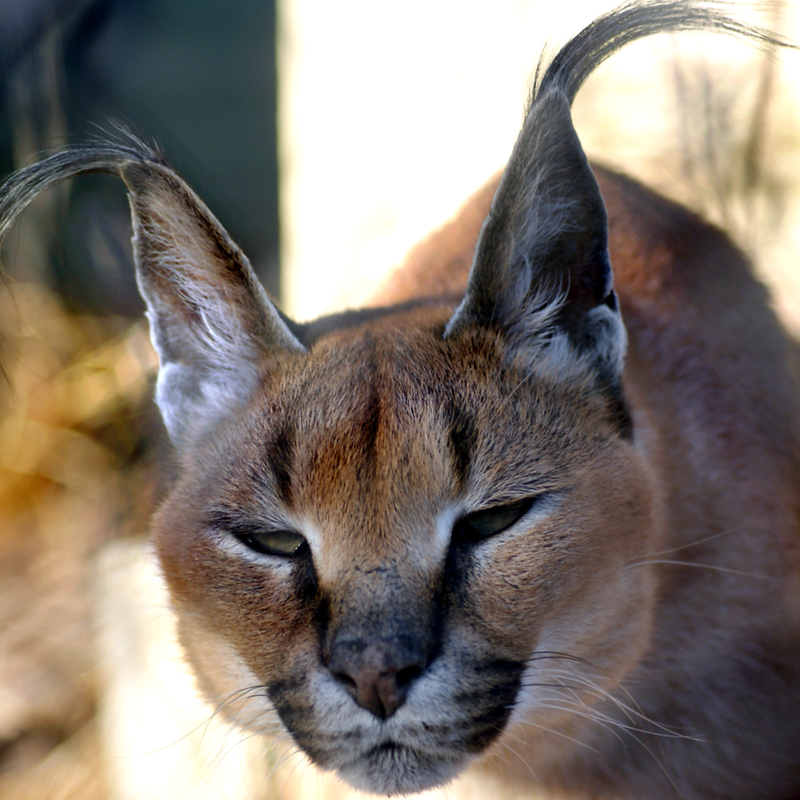 Carolina Tiger Rescue started in the late 1970’s as Carnivore Preservation Trust (CPT) with the goal of breeding keystone species, such as caracals, to one day release them back into their natural habitats when it was safe to do so. 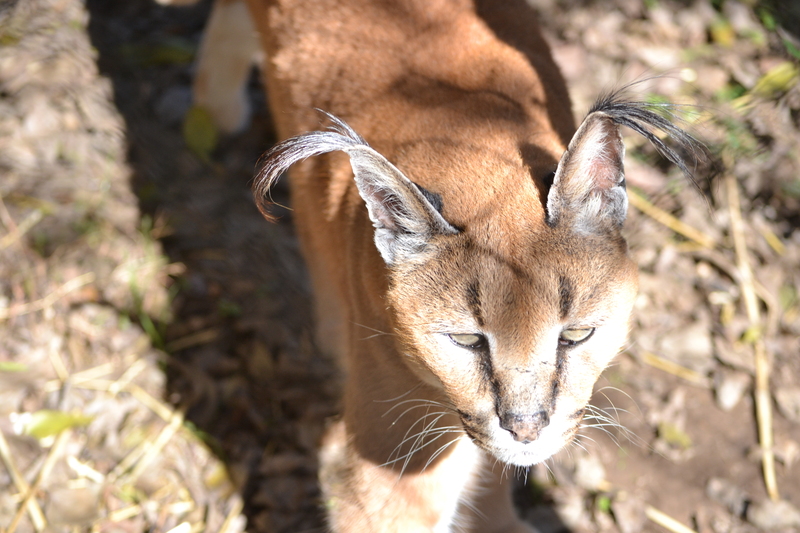 When other AZA accredited facilities began breeding in accordance with the Species Survival Plan, CPT turned its focus to rescuing. 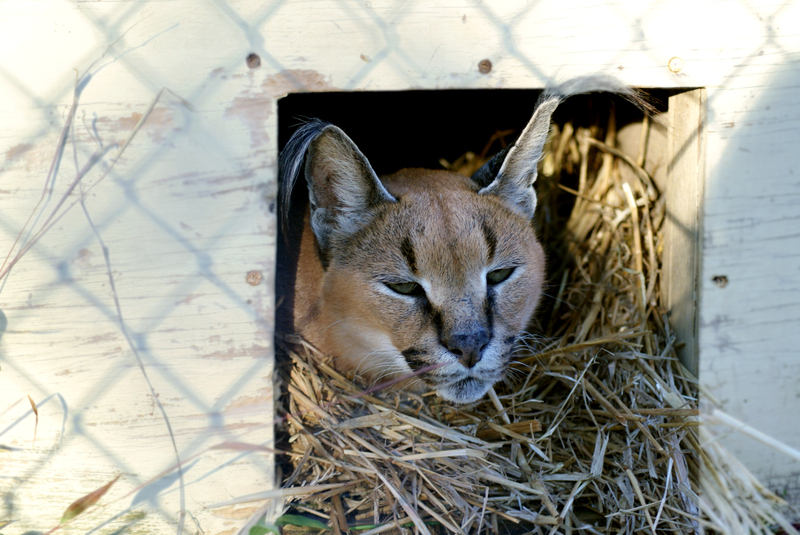 Those animals who were born here will live out their lives at Carolina Tiger Rescue.  Bandit is the first animal that people see when they come on tour, when he wants to be seen, that is. Bandit is the more social of the three caracals we currently have and he will often come up and see who has come to visit him. 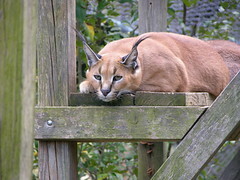 On sunny days, however, Bandit will often opt to lounge on a sunny platform rather than visit his guests. 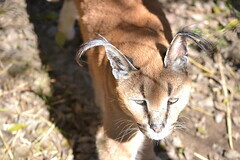 Bandit weighs about 37 pounds and has dark red and tawny colored fur. 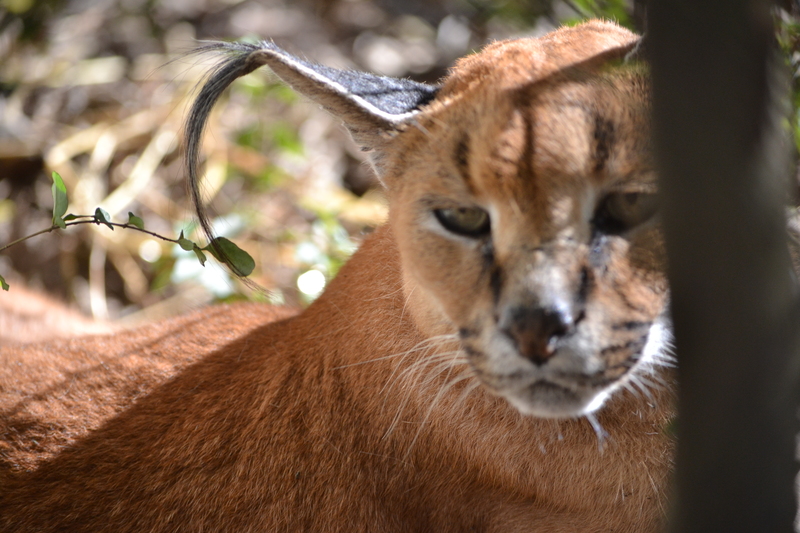 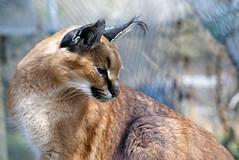 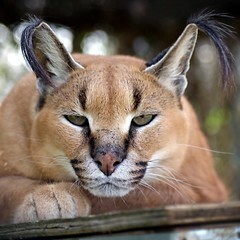 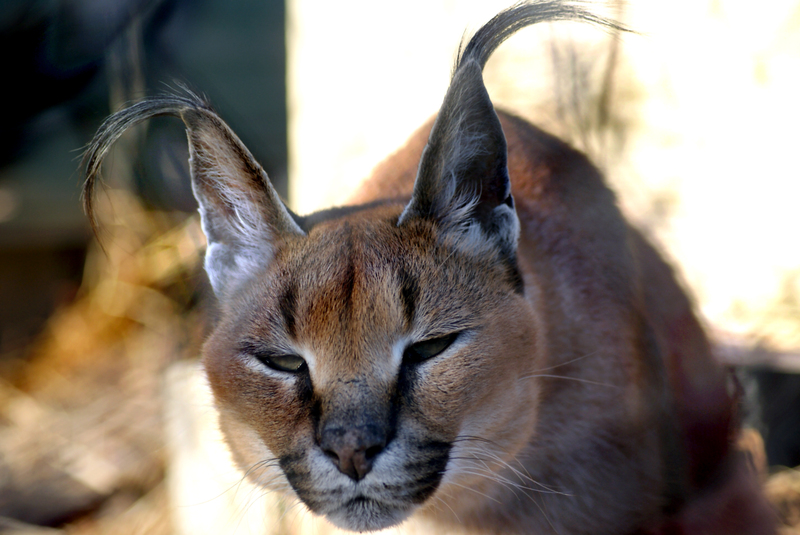 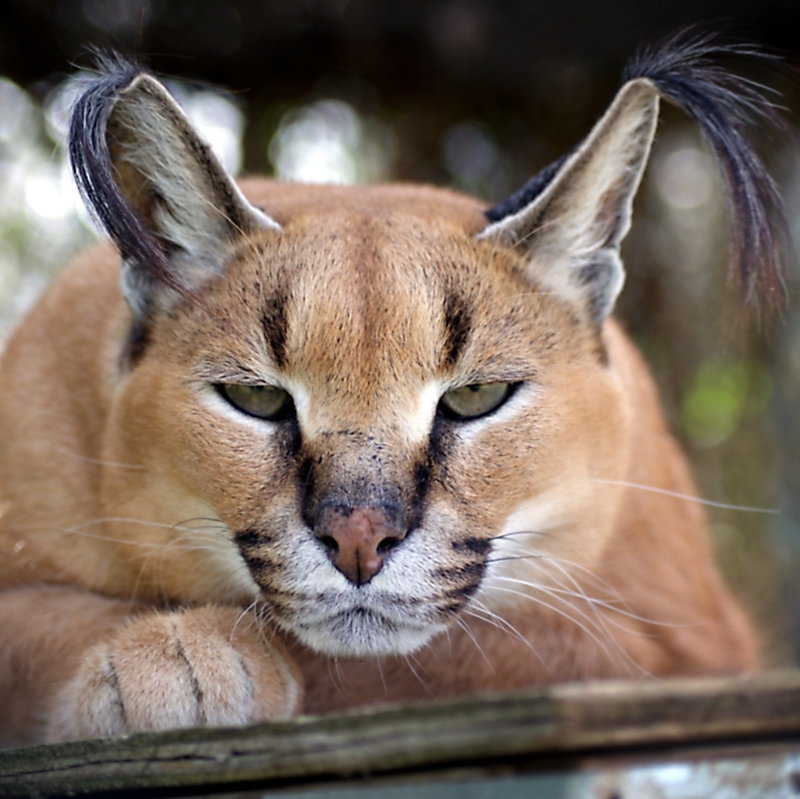 The tufts of hair on his ears flop over, whereas the other three caracals have tufts that stick straight up. 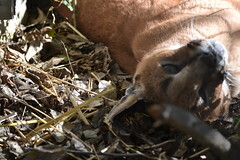 He is a laid-back caracal who enjoys checking out tour groups. Bandit is located on Mimosa Point, in an enclosure next to Toby Bobcat. He is off the tour route. 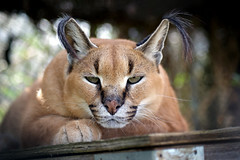 In the late 1990's Carolina Tiger Rescue, formally Carnivore Preservation Trust, decided that we no longer needed to breed due to the number of accredited facilities that were abiding by the Species Survival Plan. The Species Survival Plan was set up to ensure that breeding in captivity is only done to conserve a species. 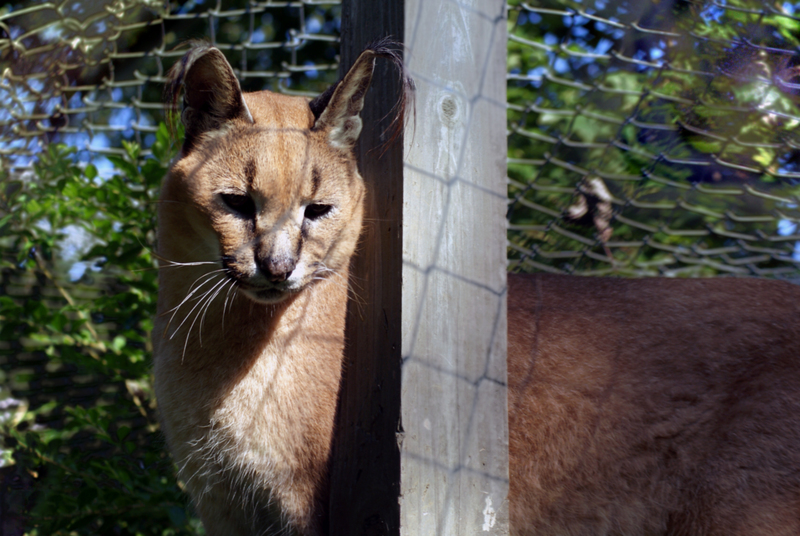 This helps limit needless breeding and prevents a surplus of animals living in captivity. Carolina Tiger Rescue only supports breeding in captivity if it is done in accordance with the Species Survival Plan.